Police advice is never let someone you don't know into your home. Police in West Lothian are appealing for witnesses following a despicable distraction sneak theft on an elderly woman in Linlithgow. The crime took place around 1.45pm on July 23 but has only been made public for operational reasons. An 82-year-old woman was visited at her home in the Burgh by two men who offered to clean her gutters. A fee was then agreed with the pair who were paid in cash. A short time later one of the men was allowed entry to the house to use the upstairs bathroom, while the second one remained outside. Once the pair had left the victim found that a four-figure sum of cash was missing from her bedroom and immediately contacted police. The first suspect is desribed as white, in his twenties, 5ft 9ins tall with a slim build and short brown hair. The second suspect is described as also white, in his forties, 5ft 6ins tall with an average build, short brown hair and who was wearing jeans. It is believed the men were travelling in a white Transit van which had ladders on the top. 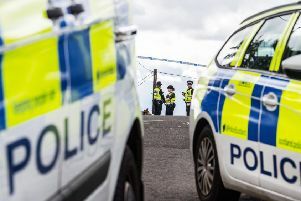 Detective Constable Greig Muir from Livingston CID said: “The suspects have offered to carry out some maintenance work on the victim’s home, however, nothing appears to have been done. Furthermore, a sum of money was then reported as missing from inside the property after one of the men had been allowed entry. Those with information can contact Livingston CID via 101 and quote incident number 3131 of July 23. Alternatively, an anonymous report can be made to Crimestoppers on 0800 555 111.